TEENTIX CORPORATE SPONSORS share our vision of a world where ALL teens have opportunities to think critically, practice empathy, and to be inspired by the artistic voices they experience. 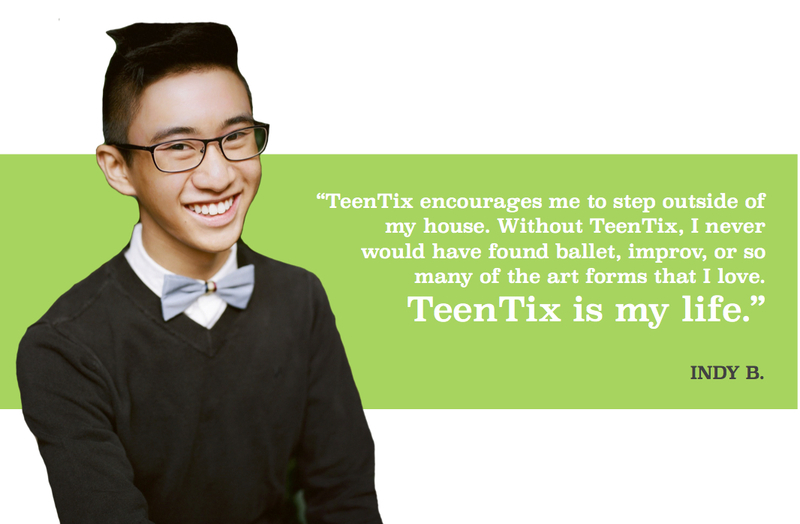 Your company’s corporate sponsorship to TeenTix directly supports Seattle’s revolutionary arts access program for teenagers - making it possible for teens between the ages of 13 - 19 to see movies, music, theater, dance, visual art, and more for just $5 with a TeenTix pass. But TeenTix is about so much more than tickets. We provide opportunities for teens from all backgrounds to engage deeply with the arts, through our arts leadership and arts criticism training programs. Show your community that you are invested in the future of our teens. Become a corporate sponsor today. For more information email Caroline Rensel, Director of Development [email protected].